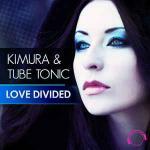 Kimura & Tube Tonic - Love Divided (Original Edit) lyrics • Hands Up! What do you say when it's all over? How do you stop when you still care? Would you be around to hold me? Would you be the one to save me? Is this all there is for us now? When do you say love is enough?